The large Integrated Systems Europe expo is a crazy mish-mash of professional grade audio systems, display technologies, video processing technologies, a smattering of lighting controls, plus a host of ancillary accessories and supporting companies. The show is held every year here in Amsterdam and today was my first time attending. Despite the seemingly disjointed collection of offerings, after several hours walking the show floor I had an epiphany: These are the technologies that will create the architectural experiences of the future. The contrast between how these systems have progressed and the current state of architectural lighting could not be sharper: Architectural lighting is stuck in the paradigm of producing “dumb lumens” that crudely flood a space with light; the ISE show is about producing “meaningful lumens” through a variety of different technology formats, ranging from enormous media walls down to tiny LCD touch screen interfaces integrated into wall switches. Architectural lighting systems are missing a huge transition right now: Architectural lighting is no longer about lux levels; it must be reconsidered as an interface to the digital world. A digitally-connected “1-pixel” light bulb must be considered in the same relationship as a mega-sized 98″ 4K UHD touch-screen panel. Treating architecture as an interface is a key concept in creating modern architectural experiences. Whether you are a shopper in a fashion store, a worker in a conference room, or a patient in a hospital room, your experience in that space needs to be designed as a holistically integrated systemic experience. So in the ongoing technological revolution, who will win the position as master of architectural experiences? Content management becomes the real skill; systems will be judged on how effectively and easily they facilitate the end-user’s total experience. In this sense the big screen manufacturers like LG, NEC, Toshiba and Samsung have innovated far beyond architectural lighting systems. To differentiate themselves, the screen manufacturers have already dabbled in connected content management and innovative features and systems that add value to their core product (LCD screens). In a connected lighting system, every architectural light source can be considered a part of a digital interface. 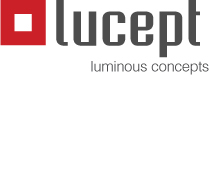 Pulling data in via sophisticated sensor networks and pushing content out via a mix of pixel densities will be the main job of a lighting system; generating lumens is merely a tool in that process. Content management, manipulation and distribution: All the major display manufacturers were demonstrating both technical distribution systems (like the HDBaseT standard) and content management systems as key differentiators to their offerings. 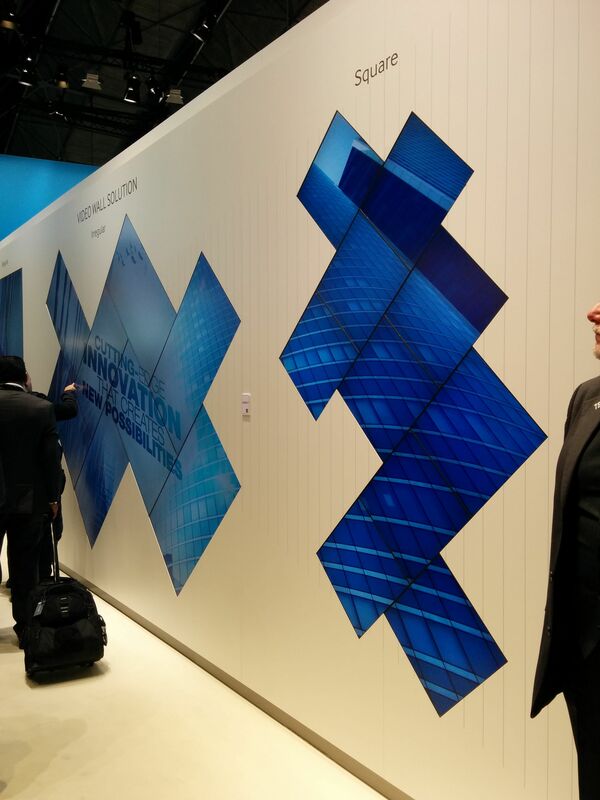 For example, LG included sections of their booth focused on hospitality room management solutions; menu board management solutions; distributed signage content solutions; etc. Basically, we now live in a world where any digital content of any form can be output through any digitally connected light source or media screen, anywhere in the world. It might not be easy or cheap yet, but it is readily available. Interactive displays and tracking systems: Many display manufacturers showed retail analysis systems based on sophisticated video-based tracking that analyzes the occupants in a retail shop, estimating their gender, approximate age, etc. through facial features. Tallying these estimates produces amazing data for retail operators such as linger time, traffic maps, etc. These systems also allow media content to be tailored live to the gender of the shopper. Can you imagine architectural lighting systems integrating this sort of intelligent occupancy monitoring? NEC was demoing their sophisticated “LeafEngine” system. One of their research scientists mentioned to me that the ambient lighting needs to be carefully designed for the facial recognition system to work properly. How many lighting designers could even conceive of such technical design challenges? Massive display surfaces: LED displays have reached a technical milestone, dropping below 2mm pixel pitch, with some even at 1.5mm pitch. The difference is amazing, leading to crystal clear, seamless, super brilliant HD LED displays at the scale of large architectural walls. Even LCD screens at 98″ and above become architectural-scale features, especially in a vertical orientation. 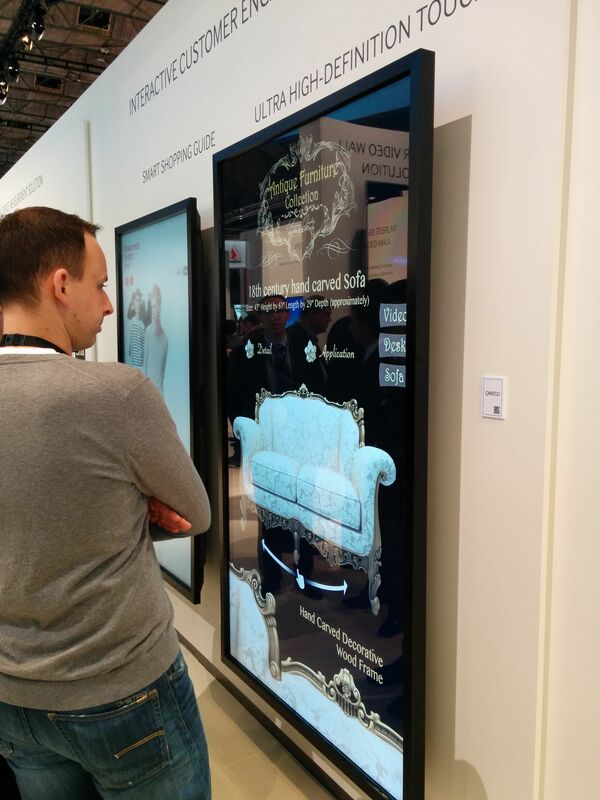 Every major manufacturer had a gigantic LCD screen with integrated multi-touch interface. Integrated systems: Such as the conference name suggests, companies like Crestron and Control4 integrate a huge range of A/V tech into their systems, ranging from lighting, video, video conferencing, music, climate, window shades, etc. They are taking ownership for the total end-user experience in spaces ranging from corporate conference rooms to hotel rooms to luxury homes. So the game becomes interface design. And not just designing apps for tablets; designing complete architectural environments that become rich with natural, human and digital interactions. 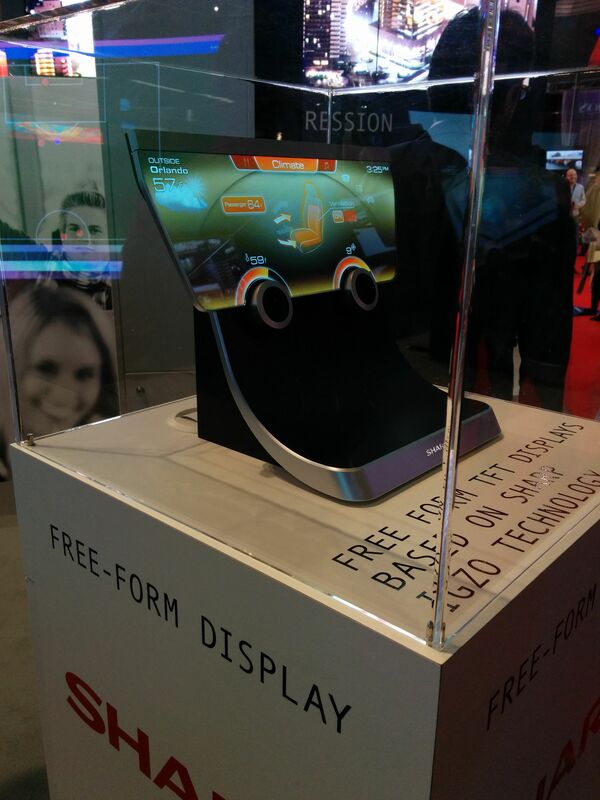 Sharp showed one of the most sci-fi things I’ve seen with my own eyes: An LCD panel cut into a custom shape, destined for an automotive control panel. Ultra thin with all the gorgeous screen quality you expect from Sharp displays, it was truly looked like something from a futuristic movie. LG integrated transparent LCD displays into commercial refrigerator doors. What a stunning effect, with the media content magically appearing transparent and in HD quality. This surely will be a huge hit — the appeal for advertising in the frozen food section will be too great for grocery chains to pass up. 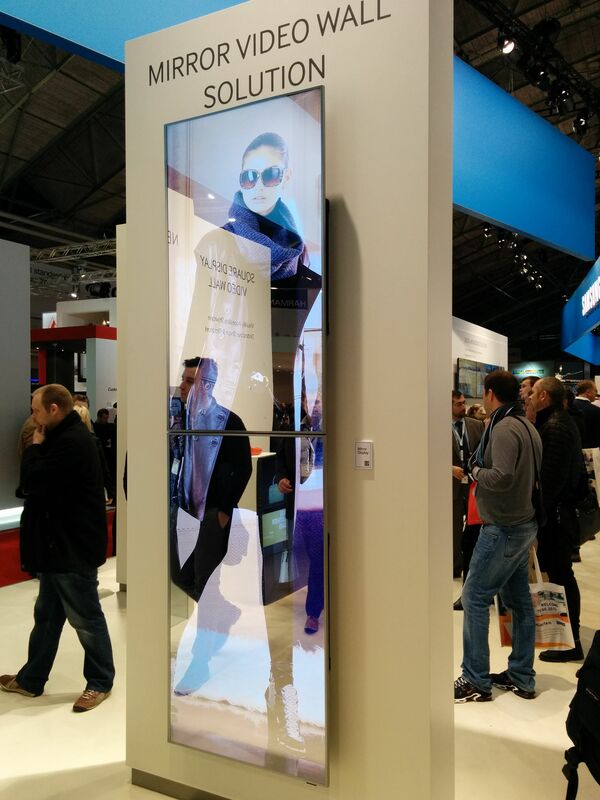 Simple enough: LCD screens from Samsung with mirror finishes. The screen is readily visible when active, but the surface is a basic mirror. This creates opportunities to fuse reflections with content. 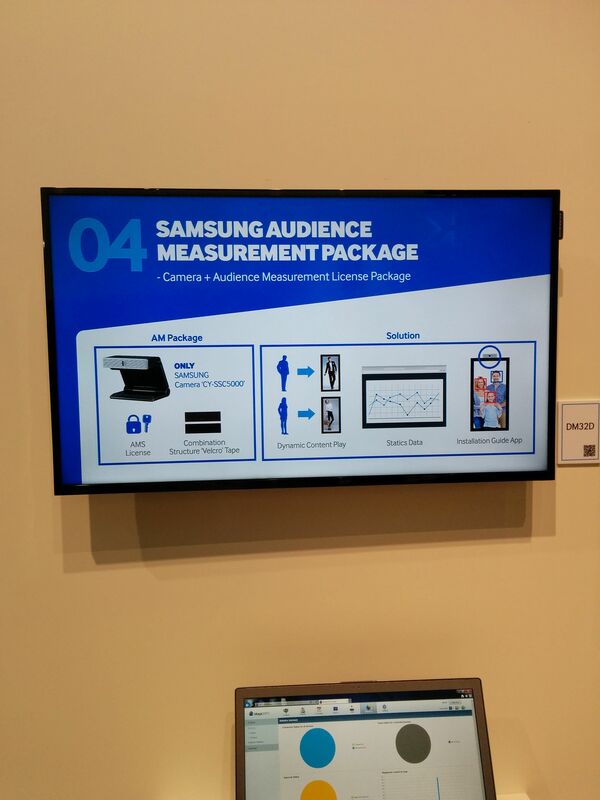 Samsung’s retail tracking and analysis offering, mimicking similar offerings from LG, NEC and others. 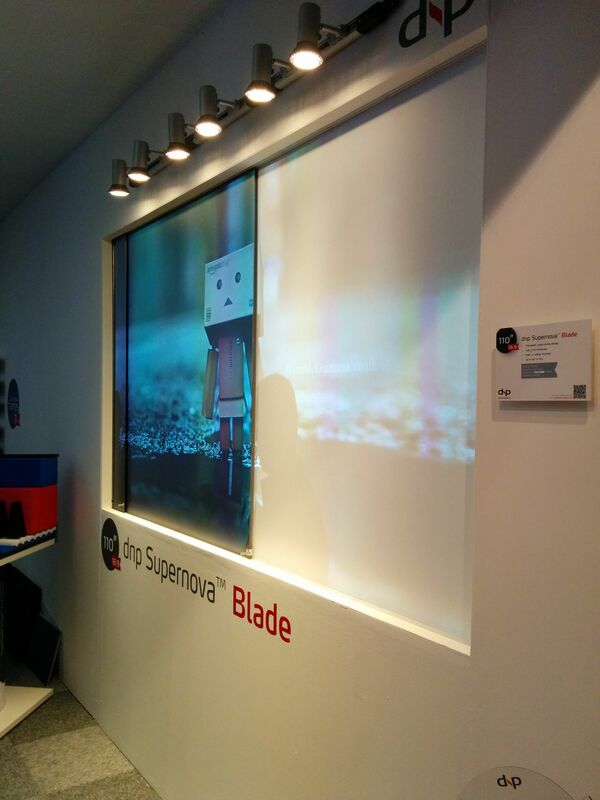 Samsung was showing some LCD screens in more architectural compositions, including a square format. 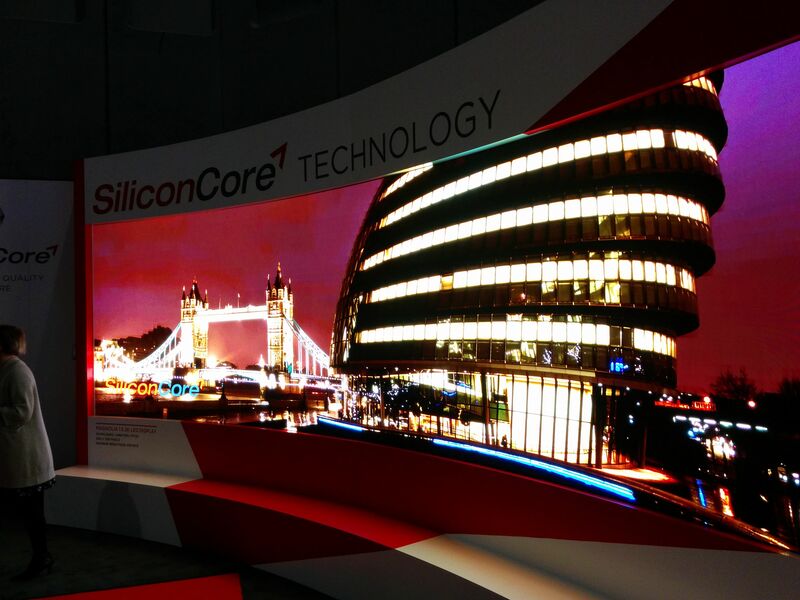 An amazing curved LED screen from SiliconCore with 1.5mm pitch. A very bright screen, the overall effect is stunning. 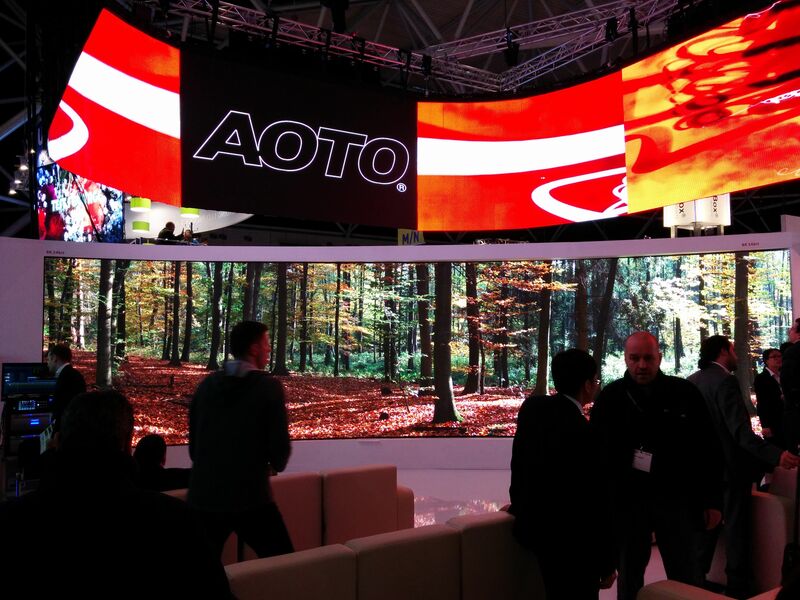 The screen at the bottom (showing a forest scene): AOTO was demonstrating a 2mm pixel pitch, 8K resolution screen. Hyper realistic effect — those trees are nearly life size and look vivid. I don’t know the science behind it, but DNP Screens had a rigid screen that nearly completely swallowed up stray light. Notice the line of PAR lights at the top, and how bright the traditional projection appears on the right – the DNP screen of the left maintains rich blacks.